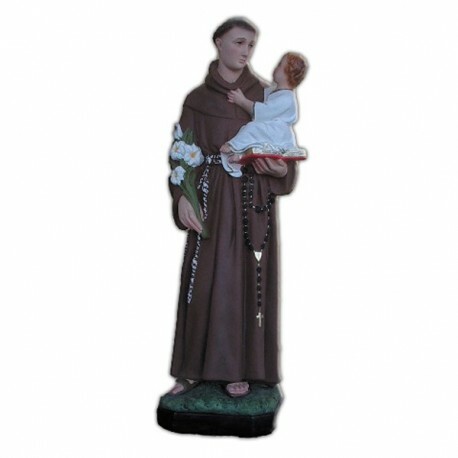 Statue of Saint Anthony of 50 cm. He was born in Lisbon and when he was very young he entered the Canons Regular. Few years later he entered the Coimbra Order. He left to Africa, but he had to renounce for a disease and a storm that forced him to stop in Italy. 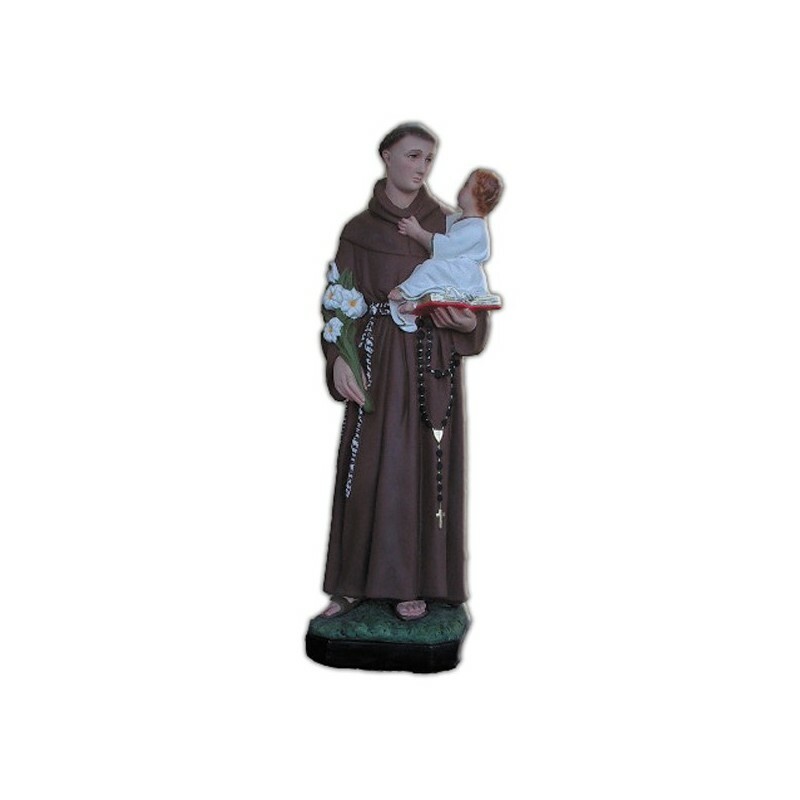 When he learned the franciscan doctrine he began his activity as a preacher against the heresy. He died in Padua and the next year he was canonized by Pope Grgory IX. In 1232 was built in Padua a great Church, which is a destination of pilgrimage. He is illustrated in episcopal clothing with a baby and the white lily.